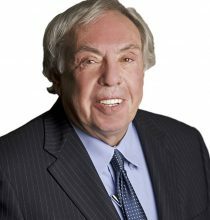 Continuing a long, successful legal career, Guy R. Bucci joined Hendrickson & Long, PLLC in 2017. He continues to devote his practice to serious and catastrophic personal injury and wrongful death cases as well as commercial and insurance disputes. His body of work includes verdicts and settlements in a wide array of cases against mining, construction, and manufacturing industries, child abuse and neglect occurrences, and a wider array of claims. As an experienced West Virginia personal injury lawyer he has represented numerous clients against careless drivers, reckless truck companies, and manufacturers of unsafe products and harmful chemicals. His range of experience as a wrongful death attorney includes cases against hospitals and physicians and others whose unsafe conduct and hazardous activities caused serious personal injury or death. In his undergraduate years at Pitt, Guy competed as a Division I baseball player as a starter catcher, was a fraternity officer, and participated in usual student activities including working a reporter for the Pitt news. He was inspired mostly by his political science and by his American History studies to become a lawyer. After receiving his Bachelor of Arts in English literature with a history minor at the University of Pittsburgh in 1967, Guy went on to earn his Juris Doctor at the West Virginia University College of Law in 1970. While in law school, he was a member of the prestigious National Moot Court team and the Moot Court Board. He received the American Jurisprudence Award for Administrative Law and he wrote for the student newspaper. Guy’s distinguished public career started in service as counsel to the West Virginia State Tax Commissioner, followed by service as counsel to the West Virginia Legislature and as Assistant Attorney General. And, in later years while in private practice, Guy served as Special Assistant Attorney General. His body of work includes a number of landmark opinions by the Supreme Court of Appeals of West Virginia that helped ensure justice for his clients, and he continues to work with that goal in West Virginia courts and elsewhere in the areas of personal injury and wrongful death, product liability, toxic tort, and other areas of civil litigation. In late 2015, Guy started the Bucci Law Firm after having founded the former Bucci & Ellis, Bucci & Chambers and Bucci, Bailey & Javins law firms. In 2017, Guy joined the like-minded, experienced litigators at Hendrickson & Long. A listing of Guy’s representative cases includes the Upper Big Branch explosion mine disaster, the Willow Island cooling tower collapse, an aluminum manufacturing plant explosion, and even the West Virginia University litigation involving the Big East Conference departure to clear the path to secure the invitation to join the Big 12 Conference for athletics and academics. He was appointed as Special Assistant Attorney General to represent the State of West Virginia in obtaining substantial recoveries in consumer protection and anti-trust cases. Guy provides representation throughout the State of West Virginia as well as with resident lawyers in Pennsylvania and Virginia. Guy is a long-time supporter of West Virginia University and the West Virginia University College of Law, where he is a Dean’s Partner, and he contributes to the College of Law benefit funds. He has also been an invited speaker to legal groups and an invited lecturer at the College of Law. Guy holds the highest peer-reviewed rating of AV-Preeminent by Martindale-Hubbell and has been named a Top Rated Personal Injury Attorney by Super Lawyers. Throughout his professional career, Guy has contributed to his profession and the community at large. He served as President of the West Virginia Association for Justice and as a member of its Board of Governors for many years, was a member of the Visiting Committee of the West Virginia University College of Law, was a Member and Committee Co-Chair for the Mining and Oil Field Litigation Group of the American Association for Justice, and served as a Trustee and Chairman of the Legal Committee of the West Virginia Investment Management Board. Throughout the years, Guy has also been a member of various local civic and charitable organizations. Guy is married with four adult children, seven grandchildren, six dogs, and one cat. In his spare time, he enjoys watching sports, chasing after his dogs, reading, and playing golf. He is still trying to break 80 on the golf course.